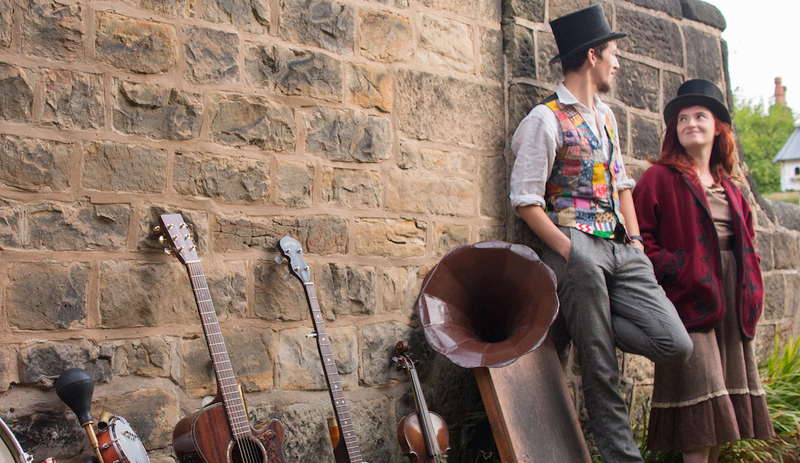 The Old Time Rags are a music and dance duo presenting street theatre, concerts and workshops. With the exciting combination of a one man band and a tap dancer the Old Time Rags really are something original! Drawing influence from sideshow, music hall and vaudeville this exciting duo combines music and dance to create a two person variety show. With percussive dance, banjos and twirling brooms, they’ll throw you back into an old time era where live entertainment was king. They play washboards, Kazoos, spoons performing music from old time Appalachia, British skiffle, rhythm & blues, jug band and old show tunes. 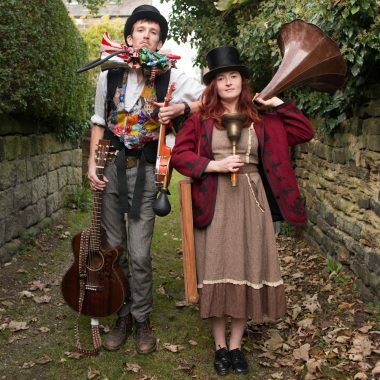 Phoebe and Laurence joined forces in England in 2016 and have toured extensively at fairs, festivals and variety shows including International appearances at Glastonbury Festival UK, Southland Buskers Festival NZ, Cork Folk Festival IRE, and Global Village UAE. They can provide concerts, walk-around/pop up shows, Street theatre, workshops and festival sets, as well as being open to other performance ideas you might have. Although a relatively new act the Old Time Rags are making a big splash. 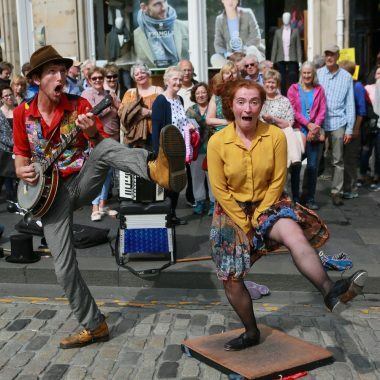 Their growing reputation is gaining them international gigs and they are becoming known to always get an audience going whether on the stage or on the street.